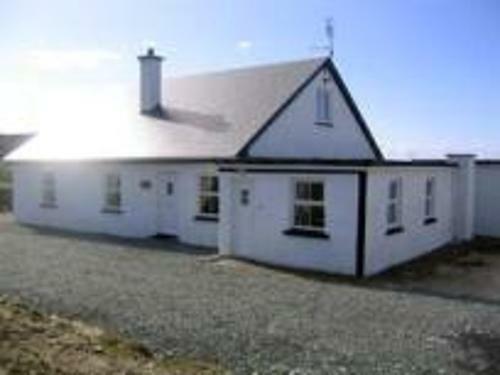 This is one of 2 cosy cottages overlooking Dooagh Bay only a stroll from Dooagh Beach, 1.75 miles from Keel village on Achill island joined to the mainland by causeway. An hours drive takes you to Castlebar and Westport. It is attractively furnished with open plan living area and spacious bedrooms and for larger family get togethers it can be booked with the three bedroom cottage.